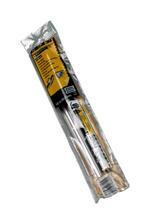 3M™ Hand-Masker™ Film Blades are made from durable stainless steel with a protective plastic blade guard. Also available in 6 inch width. 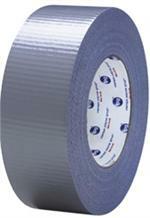 Applies masking tape to masking film up to 144 inches or paper up to 18 inches in one continuous application. Compact, lightweight, saves time. For professional heavy duty use. 3M™ Hand-Masker Masking Film Plus (48 in x 180 ft.) Pre-folded, high-density, nonporous film for paint masking and paint overspray protection. Flake resistant for multiple coat use. May be used with lacquers. 12 in product folds out to 48 in. 3M™ Hand-Masker Masking Film Plus (72 in x 90 ft.) Pre-folded, high-density, nonporous film for paint masking and paint overspray protection. Flake resistant for multiple coat use. May be used with lacquers. 9 in product folds out to 72 in. 3M™ Hand-Masker Masking Film Plus (99 in x 90 ft.) Pre-folded, high-density, nonporous film for paint masking and paint overspray protection. Flake resistant for multiple coat use. May be used with lacquers. 12 in product folds out to 99 in. 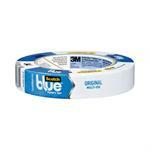 InterTape AC10 UTILITY DUCT TAPE - 2"
This blue tape removes cleanly without adhesive transfer or surface damage for up to 14 days, even in direct sunlight. 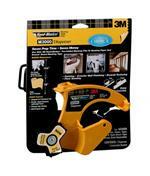 It is a medium adhesion tape that is ideal for painted walls and trim, woodwork, glass and metal.